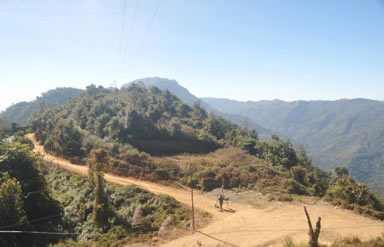 Popularly known as the 'Blue Mountain', Phawngpui is the highest peak in Mizoram state of India. Standing gloriously, this is a popular place in the state. Every year, many tourists visit Phawngpui to spend memorable time. Located in Chhimtuipui region, Phawngpui is situated at height of around two thousand one hundred and sixty meters. Phawngpui is a popular place due to its geographical location and its association with many legends and believes. According to the legends, this peak is abode of deities. Blessed with immense natural beauty, the place is an extremely revered place. Another belief says that half-circular cliff in Phawngpui is one of the most haunted site in the region. It is believed that this cliff is covered by evil spirits. The cliff is featured with an extremely deep and has a sharp fall. May tourists visit this place to add one more chapter in their adventure trips. Apart from the cliff and the high peak, Phawngpui has many reasons to allure tourists. There is an area of around 200 hectares. 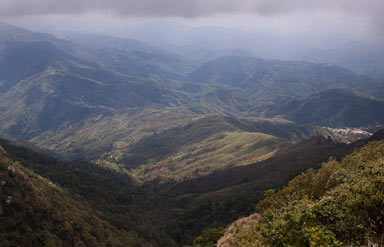 The area is enclosed with dense bamboo forests and other flora species of the region. This beautiful place always remains crowded with butterflies that add charm to the ambience. For adventure lovers, Phawngpui is a heavenly site. A visit to the site will surely add adventure and thrill in your vacation. Tourists can enjoy their stay in the nearby regions. Phawngpui is well-linked with all the nearby areas. 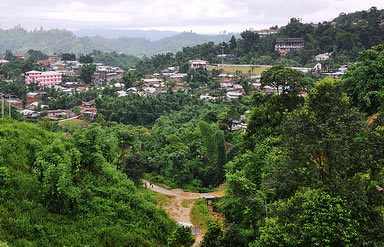 Aizawl can serve as a close location to stay near Phawngpui. Accommodation options at Aizawl offer comfortable stay. By Air: Lengpui airport in Aizwal is the nearest one. It connects the region with Kolkata, Guwahati and Imphal. By Rail: Those, who prefer to travel by train can reach Silchar. It is connected with many cities. By Road: Tourists can also choose to travel by road. They can hire vehicle or can use bus services to reach this beautiful destination from all the nearby locations.